Make a bold statement with these clear glass honey pot jars. 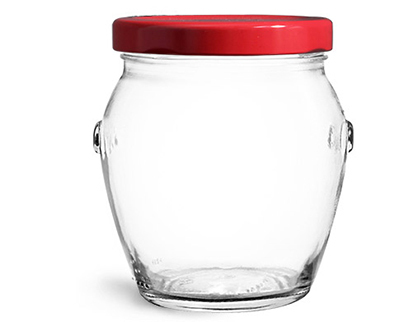 These jars are sold with red metal lug caps with plastisol liners included. 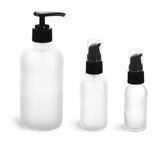 The plastisol liners create a hermetic seal when activated to provide freshness for your food products. Consider pairing these clear glass honey jars and red caps with brightly colored products such as salsa, spreads, and more!